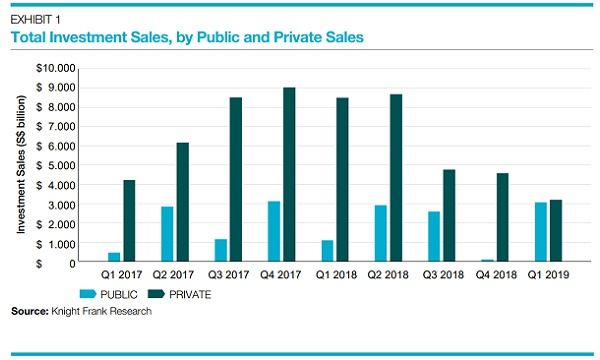 A high number of new private homes sold at relatively high prices in H1 2018 drove the hikes. Private home prices edged up 7.9% in 2018 despite the new cooling measures introduced by the government in July, according to OrangeTee & Tie’s Private Residential market report for Q4 2018. Prices were observed to have risen across the board in 2018, with data from the Urban Redevelopment Authority (URA) highlighting how the price of condos rose 8.3% YoY, whilst landed properties rose 6.3% YoY. For non-landed resales, prices recorded the highest increase in RCR at 9%, followed by OCR and CCR at 7.7% and 7.2%, respectively. On the other hand, developer home sales dropped 16.8% YoY to 8,759 units in 2018, whilst resales fell 7.4% YoY to 13,009 units due to the combined effects of the Additional Buyer’s Stamp Duty (ABSD), total debt servicing ratio (TDSR) and global economic slowdown, the report noted. That being said, a handful of projects continued to sell well due to their good location, distinct features, and strong marketing campaigns. 2018’s best selling new projects were found to be Riverfront Residences with 807 units sold at an average price of $1,313 psf, followed by The Tapestry with 544 units sold with at an average price of $1,385 psf. The most popular resale projects were The Crest with 141 units sold at an average price of $2,000 psf and New Futura with 78 units priced at an average $3,507. In terms of rentals, demand continue to strengthen as more transactions were inked in 2018, the report added, citing that the number of leasing transactions rose 7.9% from 81,891 units in 2017 to 88,400 units. The total transaction value hit an eighteen-year high to $335m in 2018. Occupancy rates also remained healthy across all market segments, with the OCR reaching 94.9%, RCR at 92.6% and CCR at 92.1% in 2018. In Q4 2018, the proportion of non-landed homes bought by Singaporeans remained at 77.5%, whilst purchases by foreigners held steady at 5.8%. Mainland Chinese were observed to be the top foreign buyers for the third consecutive year, followed by Malaysians and Indians. According to URA, the expected number of private residential completions in 2019 dipped from 10,119 in Q3 2018 to 8,926 as of Q4 2018, possible due to more projects being completed earlier than expected. As the number of completions in 2019 is expected to reach the same level as 2018’s 9,112 units, rents may remain flat between -1 to 1%, the report noted. Prices of resale homes may also remain flat or rise marginally between 1-2% in tandem with new sale prices, the report added. 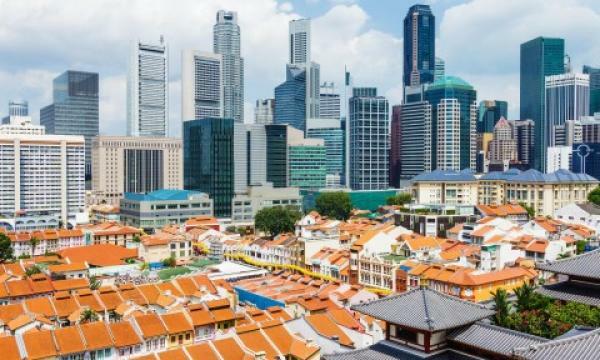 Meanwhile, investors and foreign buyers are expected to stream back into the market as they may view Singapore’s residential properties as better investment assets in light of the economic uncertainties and stock market volatility, the report underlined.